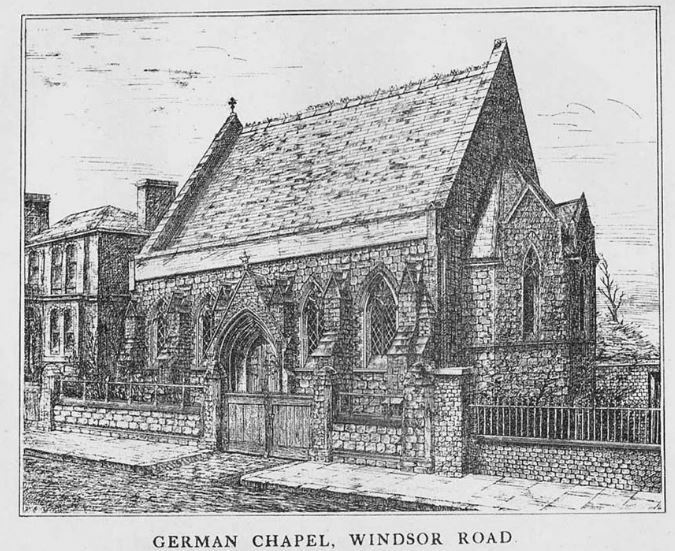 On Windsor Road for many years was a little church that existed to serve the Camberwell German community. 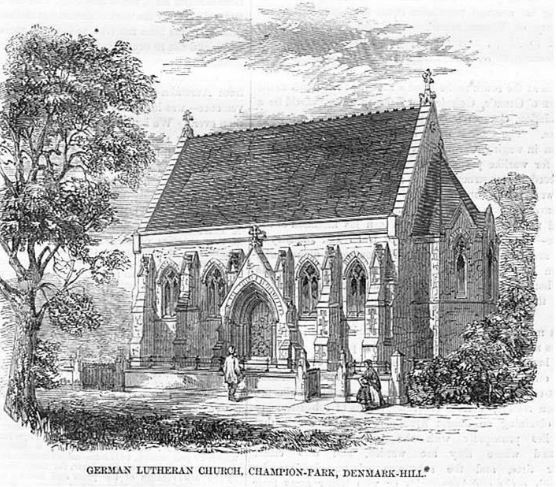 Camberwell in the 1850’s had become home to a growing number of Germans mostly due to southwards migration from inner city central London for cleaner and greener areas of south London. They met for worship at Dr Crofts school from January 1854 and resolved according to WH Blanch to build a church. 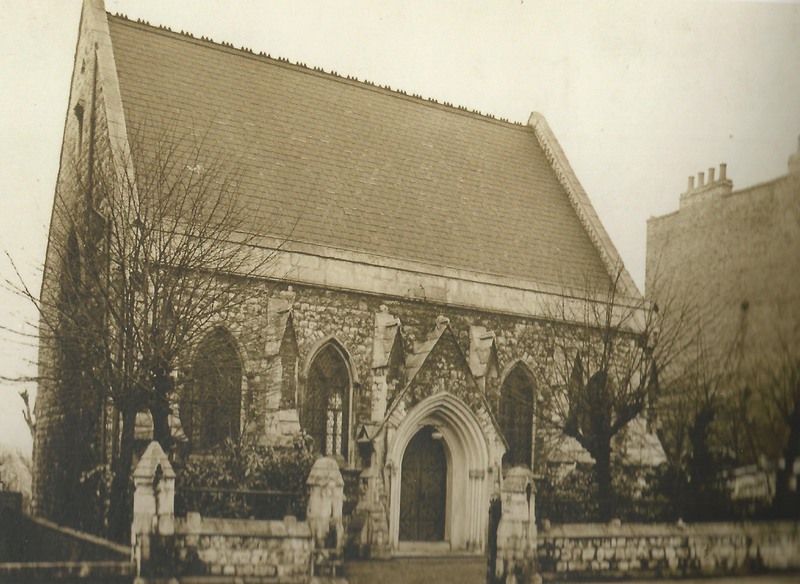 Funds were raised by private subscription, and the the Windsor Road Church was opened on December 16th, 1855. The church seated up to 300 persons and was funded entirely by subscriptions. The land was purchased from Mr Claude de Crespigny whose estate went from Champion Park north to Love Walk. All services were conducted entirely in German and the ministers all had to be ordained by the German Protestant church and were elected by the community for life, each member having subscribed for one year being entitled to one vote. The first minister was Mr Meyer who died in June, 1871 and was succeeded by Mr Kohlreuter after his election in January, 1872. Around eighty wealthy German speaking families provided the vast majority of the Church income. This is what Charles Booth had to say about the German Church in The Survey into Life and Labour of the Peoples of London, various editions , I used Macmillan & Co Ltd, 1902. This extract added in December 2015. 105 Denmark Hill was once known as Osnabruck House and was owned by Fritz Rommel. It was during WW1 used as the 4th London General Hospital, having being requisitioned by the War Office. Home to 25 beds for officers suffering from neurological disorders. It was closed in 1919 and demolished to build the Denmark wing of KCH. In 1842 Mendelsson visited one of the families, the Beneckes, and while here composed Spring Song , originally known as Camberwll Green. The Beneckes also hosted Wagner. The Benecke house was later demolished to make way for Ruskin Park. 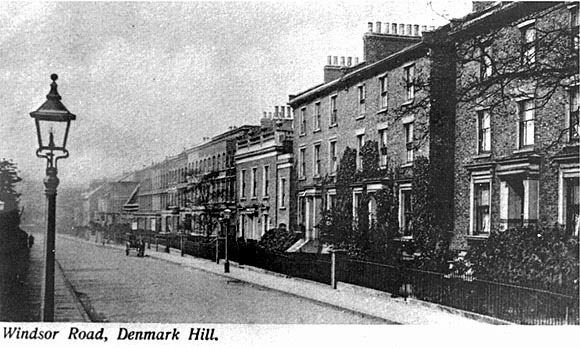 Well off German businessmen and their families lived mostly on Denmark Hill and Champion Hill in large houses. In Camberwell and surrounding areas a german speaking service industry grew up providing for the needs of their wealthy customers. Messrs Melshiemer and Eifler were butchers in respectively Albany Road and Camberwell Green, Sturmer and Frieberger were bakers in Camberwell Road as was Mr Moth in Wyndham Road. German Church , postcard circa 1900, Southwark Council Local History Art Collecton. You can see the church just beyond the horse and cart. During this time, many streets were given German names – most of which were abruptly changed at the outbreak of WW1. Leipsic Road became Comber Grove. Almost all German businesses were attacked at the start of the war and German men who had not become naturalised citizens were deported. And those remaining were mostly interned. The German Church was abandoned at the start of the war. At one point, Maudsley Hospital were interested in purchasing the Windsor Road Chapel but decided against. 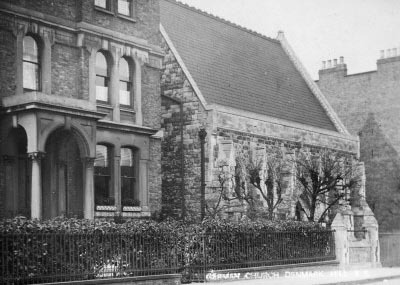 In the 1920, the Open Brethren Church formerly based in Walworth moved into the now empty Lutheran Chapel in Windsor. They had a lease for 30 years. Their origins were in the established church at Beresford Chapel under the ministry of William Lincoln. He moved away from the church around 1862 and took a large part of his congregation with him. He died in 1888. It was renamed as the Beresford Chapel. The Open Brethren are a group of Protestant evangelical churches that developed from the late 1820’s as part of the assembly movement. I do not know when the congregation left the Beresford Chapel but the following notice was published in 1974. This entry was posted in Churches, Denmark Hill and tagged Church, Denmark Hill, Windsor Road. Bookmark the permalink.